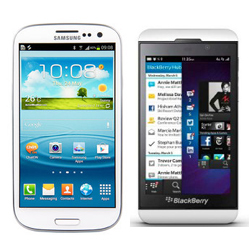 Recently while Samsung Galaxy S III is obviously becoming the prized possession, Blackberry is all set to make their prominence once again in the market, with its flagship phone Blackberry Z10. Will Blackberry be able to instill fear on its competitors? Let’s find out.